The Rev. Kimberly (Kym) Lucas was chosen as the 11th Bishop of the Episcopal Church in Colorado during the 131st Annual Convention held at Saint John’s Cathedral in Denver. 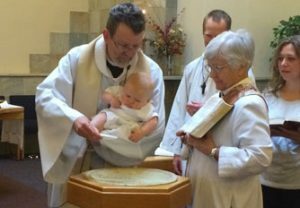 Lucas has served as Rector of St. Margaret’s Episcopal Church in Washington, D.C. since January 2012. Previously, she was the Rector of St. Ambrose Episcopal Church in Raleigh, NC from 2005 to 2011. 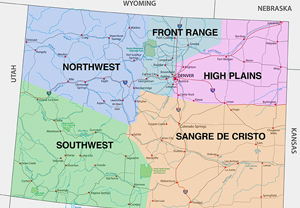 There are five Regions in The Episcopal Church in Colorado that encourage and promote partnerships in local mission initiatives; facilitate the participation of clergy and lay leadership at Diocesan and General Conventions; and strengthen communication between the Regions and the Office of the Bishop. Have you dreamed of making a pilgrimage walking the Camino to Santiago Spain? This year we have a created an inspiring Camino Pilgrimage open to all Episcopalians across Colorado. On this journey, we will experience the life-changing power of walking the Camino, deepen relationships across the Church in Colorado, and deepen our bonds with the Reformed Episcopal Church in Spain. We will encounter God in the awe-inspiring landscape of Portugal and Spain and witness the power of the Spirit revealed in pilgrims we will meet along the Way. Our Camino journey will begin in Portugal in the faith-inspiring village of Fátima, before traveling north to join the Portuguese Way, walking the Way to Santiago, Spain. This pilgrimage invites pilgrims to experience their faith like never before. View the Camino Pilgrimage Itinerary for a more detailed overview of our time together. Trip cost: $3,649-3,779 per person double occupancy depending on the number of travelers. For more information, please contact the Rev. Canon Greg Foraker, Missioner for Faith Formation, at Greg@EpiscopalColorado.org/. What can I expect to experience this pilgrimage? This pilgrimage is a perfect opportunity to walk the ancient pilgrimage path from northern Portugal to Santiago, Spain. This inspiring pilgrimage involves physical activity including walking an average of 20 km a day, climbing stairs, and hiking over rocky and uneven ground. Why is this pilgrimage set for November? Autumn is a great time to walk the Camino when crowds are lower, fall colors are changing, and temperatures are cooler. It is also a perfect time for pilgrims to renew their faith and find new inspiration just ahead of the Advent and Christmas seasons. What if my congregation is too small to plan a pilgrimage in the future? This pilgrimage is open to lay and clergy Episcopalians from across Colorado and for pilgrims from congregations of all sizes. This Camino journey will be a perfect opportunity to meet and connect with pilgrims from every corner of Colorado and from around the world. What physical preparation is needed to make this pilgrimage? Pilgrims from 21 to 82 have made a Camino journey with our leader. Begin a regular practice of walking now and experience the benefits of integrating body, mind, and spirit as an inspiring and faith-filled practice. You will likely return from the Camino in the best shape of your life. Is this a religious pilgrimage? Walking the Camino de Santiago is rooted in Christian faith and history. This pilgrimage offers a profound invitation to deepen one’s relationship with God, to open to others along the way, and to walk with Jesus each day. A copy of your passport. Please note that your passport must be valid for at least six months after your return date. A nonrefundable deposit check for $900 made out to Worldwide Journeys. Space for this inspiring journey is limited. To reserve your place, send your materials and deposit by April 5, 2019. For more information, please contact the Rev. Canon Greg Foraker, Missioner for Faith Formation, at Greg@EpiscopalColorado.org. The Rev. Kimberly (Kym) Lucas was chosen as the 11th Bishop of the Episcopal Church in Colorado during its 131st Annual Convention held at Saint John’s Cathedral in Denver. One of two candidates, Lucas was elected on the fourth ballot, receiving 124 of 173 clergy votes and 237 of 306 lay votes. In order to be elected, a candidate needed to receive 2/3 votes from both the clergy and the lay delegates, voting separately as orders in the same balloting round. The second ballot was invalid due to a reporting error after the announcement of the first ballot. The other candidate was The Rev. Canon Ruth Woodliff-Stanley, Canon to the Ordinary of The Episcopal Church in Colorado. Lucas has served as Rector of St. Margaret’s Episcopal Church in Washington, D.C. since January 2012. 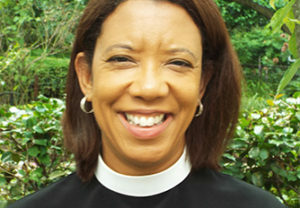 Previously, she was the Rector of St. Ambrose Episcopal Church in Raleigh, NC from 2005 to 2011.